Always wash the face before going to bed. Remove any makeup with a make-up remover and then wash again. Choose soaps that have little fragrance and that are not too harsh. Change your pillow case at least twice a week. Oils and dirt from the hair build upon the pillow and can irritate the face. Avoid fragrance (perfume, fabric softener, etc.) as the acne-prone skin generally tends to be much more sensitive to it. Watch what you eat. Avoid dark colas, fried foods, milk, peanuts, and chocolate. Choose hypoallergenic, non-comedogenic moisturizers, sunscreens, and makeup. Try not to touch the face repeatedly with the hands. Dr. Maloney offers the following minimally invasive Acne Treatments to his patients. The skin has two layers, an outer protective layer (epidermis) and the deeper, supporting layer (dermis). The main part of the oil gland is located in the dermis, with a small tube extending up through the outer layer to open on the surface. When the oil glands become blocked, they continue to secrete their oils (sebum). Eventually the gland bursts, exposing the oils to the surrounding cells. These oils are very irritating; therefore, the body sends clean-up cells to remove all the damaged tissue. The end-result is a weakening, or loss of, the supporting layer of the skin, causing the outer layer to fall in, thus creating a depressed scar. Scarring from acne can be narrow and deep, commonly referred to as ice pick scars, or broad and flat. Patients with multiple, deep cystic acne areas may benefit from the use of Accutane. This is a very strong but dramatic treatment usually prescribed by dermatologists. Depending on the dose and length of treatment, Dr. Maloney generally recommends not having any surgical procedures for six to twelve months following the Accutane treatment. Tretinoin is the generic name for RetinA, RetinA micro, Avite, Atralin, or Renova. It is the second most important skin care product for most of us that we can apply on our skin. Sun protection being number one. Many people are familiar with tretinoin for the treatment of acne in younger patients. It requires a prescription and is NEVER sold over the counter. Products containing retinol are not the same as products containing tretinoin. Retinol is the precursor to tretinoin. When applied to the skin, a portion is converted by the enzymes in the skin to tretinoin. The retinol products can be used as a first line treatment for those who are sensitive to tretinoin. In response to repeated trauma our skin thickens. A great example of this occurs when golfers, gardeners, or tennis players develop callouses on their hands from repeatedly using their equipment. The same thing happens to the face and neck after years of repeated sun and wind damage. The skin thickens and we say the complexion dulls. It helps to exfoliate the outer layer, bringing it down to a more normal thickness. It stimulates the blood supply to the skin. Decreases the incidence of skin cancers. The outer layer of skin is constantly growing. When we are in our twenties, the skin is growing in a very organized fashion. As we begin to mature the growth pattern becomes more disorganized leading to pre-cancers and skin cancers. Tretinoin helps to restore the orderly growth pattern thus making our skin not only look better but it is actually healthier. The hyaluronic acid fillers such as Juvederm® and Restylane® are the latest in-office treatments for some acne scars. The fillers can be injected into certain acne scars to help level the skin surface. Deep ice pick scars, in general, do not lend themselves to this type of treatment. Broader scars typically respond better. Best of all, the correction may last up to a year for most patients. When a lot of scars are present, larger scar revision procedures such as the Wplasty, Geometric Broken Line, or Zplasty may be helpful in creating a smoother skin surface. Wire Brush Dermabrasion has been a valuable tool in the treatment of acne for over fifty years. It is not to be confused with microdermabrasion. Microdermabrasion is a procedure performed by aestheticians which works by removing some of the outer protective layer of the skin. Microdermabrasion is a nice tool to help “refresh” the complexion, but it does not provide improvement in the appearance of the acne scars because it does not reach the deeper, supporting layer where the problem is. Wire Brush Dermabrasion is generally performed in the operating room by a surgeon. The skin is numbed with a local anesthetic. The spinning wire brush is used to remove the outer layer of the skin and a portion of the supporting layer. The end result is something that looks like a carpet burn. Postoperative instructions follow a moist-healing protocol. Studies have shown that skin wounds heal faster when the surface is kept moist. The skin edges begin growing together, following a path of moisture. If the skin edges hit a crust they have to go under it, slowing the healing process. Patients are instructed to spray the dermabraded areas for fifteen minutes with a kitchen sink sprayer or shower, six times a day. After each spraying, the areas are gently dried, and Aquaphor® is applied. This protocol is followed daily for the first week. Generally by the end of the week, the new skin has matured enough to stop the spraying. A “bland” moisturizer may now be used as needed. The CO2 Laser is a focused beam of energy that removes the outer surface of the skin. It is a very controlled way to remove the outer scarred layers of the skin. Sometimes, a challenge with the CO2 Laser is the patient who has deep scarring, especially around the nose area. These patients may benefit from a combination of Wire Brush Dermabrasion around the nose and CO2 Laser on the rest of the face. Dr. Maloney believes that every face is different and finds it important to customize a treatment program specific to each patient’s concerns and issues. 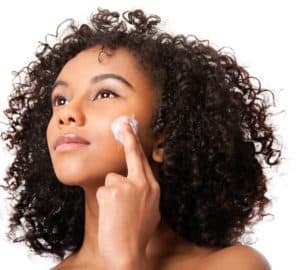 If you are tired of trying over-the-counter and prescription products that do not help with your acne, schedule a consultation appointment with Dr. Maloney to find out what skin rejuvenation procedures are right for you. The exciting thing about Acne Treatments is that there are now several options for patients that provide optimum results and give you healthy, beautiful skin. While acne treatments may take some time to significantly improve your skin, meeting with Dr. Maloney is an excellent first step toward effective acne treatment.